House Minority Leader John Boehner (R-OH) has called on the White House to suspend GM’s plans to close 500 dealers at the end of October until a federal investigation has been completed. He joined Rep. Steven LaTourette (R-OH) in writing a letter to the Treasury Department asking to intercede on the matter. “As the findings of this investigation may shed much-needed light on the proceedings affecting hundreds of dealerships nationwide, we believe it is necessary to thoroughly analyze its results before continuing with the closures of hundreds of dealerships,” the letter said. The investigation, which comes from a July audit performed by the same office headed by former federal prosecutor Neil Barofsky, originates from The Office of the Special Inspector General for the U.S. Troubled Asset Relief Program (TARP) and is related to possible illegal misconduct in the closing of more than 2,000 dealers by GM and Chrysler (with the collaboration of the Obama administration). The audit raised concerns about GM’s savings estimates by closing dealers from the automakers. The audit also mentions GM’s lack of documentation of its decision-making process for cutting dealers as well as straying from the originally-stated stated criteria. Barofsky’s office hasn’t singled out who is being investigated or what actions prompted the probe. 500 GM dealers were told their sales and service agreements will expire on Sunday, October 31. In a statement, GM stated it will not extend the deadline. 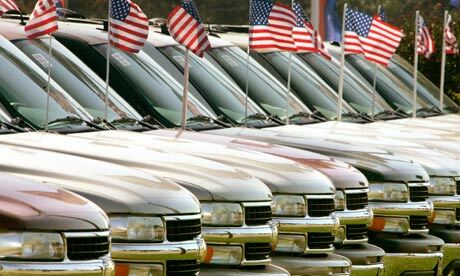 “An extension would only divert our collective attention at a critical time and would ignore the independent decisions of arbitrators and individual settlement agreements between GM and its dealers,” the statement said. We are currently trying to invite a member of the coalition against the closing of GM dealers on the GM Authority Weekly podcast. Stay tuned.